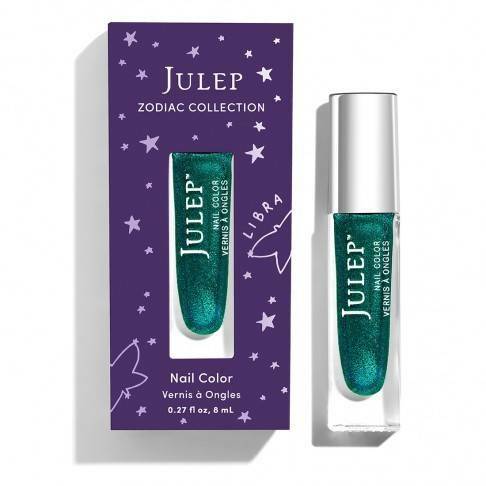 Julep’s October 2017 collection consists of seven new—and one re-released—jewel-toned shades for fall. And, of course, the latest addition to their 2017 Zodiac collection is a new shade for the sign of Libra (September 23–October 22). Christi is pretty close to my name, so I am very happy that it’s my favorite shade of all in this month’s collection. I’m going to leave the glitters: I’m not a big glitter girl, and the official swatches didn’t do much to sway me. I want Lucky Libra, as well, but since Vibrant Virgo wasn’t available in the box last month (I had to get it separately, though I got it for a steal), I imagine I’ll have to purchase it another time. This collection also includes three new eyeshadow duos; I have yet to try these, and this month’s new shades are a little too light and neutral to convince me to do so. Julep Mavens will be able to customize their October boxes from September 20–24.